This charming oceanfront cottage sits on a double lot and offers a rare opportunity to secure 100' frontage of prime oceanfront property along a beautiful stretch of beach! New 8x8 piling foundation in 2008! Over 2300sf of heated living, this home features the original tongue & groove walls and Pine wood floors accenting the character and charm of time gone by. 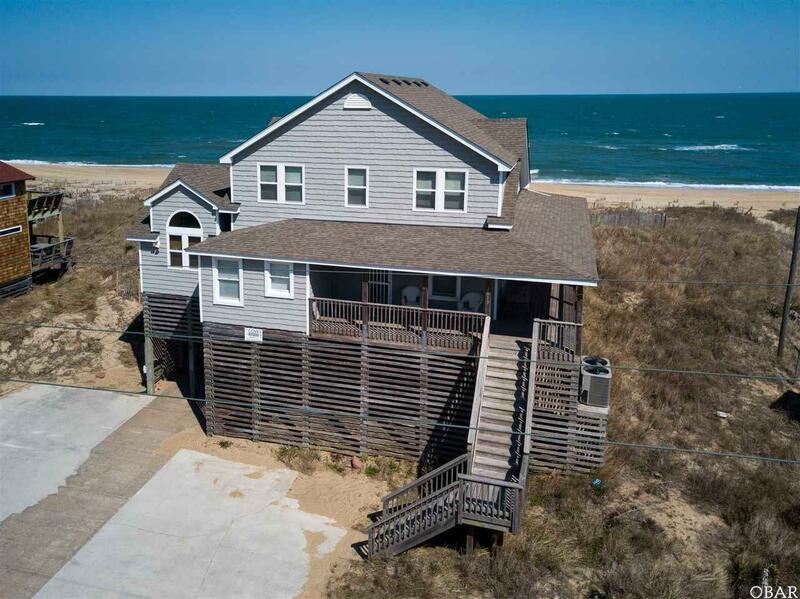 A delicate balance of modern conveniences and original finishes lets one experience what the Outer Banks was all about! Newer HVAC systems installed in 2016! Exterior is vinyl cedar shake impressions, for low maintenance. Other updates include windows, kitchen & baths. Traditional floor plan offers outstanding ocean views from both levels of the home! Living, kitchen, dining and 2BR's on 1st level, with 4BR's plus sitting area on 2nd level. Bedrooms on 2nd level can easily be combined to create two larger suites. Three full baths and a handy outside shower for after the beach! The southern wrap around covered porch provides plenty of shade while taking in the great ocean views! Convenient walkway to beach with foot bath at the steps. This nostalgic property offers all the comforts of home. Price just reduced, sold fully furnished! Listing courtesy of Richard Tolson of Re/Max Surfside.